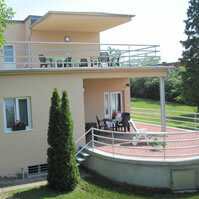 Accomodation Center has been established to offer holiday makers apartments and spacious holiday homes in the Balatonfüred area of Hungary. rental experience and over two on the internet, Accomodation Center has long been a leader in providing fine villa and vacation rentals to discriminating travelers. We pride ourselves on our ability to choose the right holiday home for every travelers taste and as more clients continue to choose to book our properties year after year, were pleased to have been offering the same great service to our clients in the last few years that you can expect to continue into the 21st century as international travel becomes more popular than ever before. 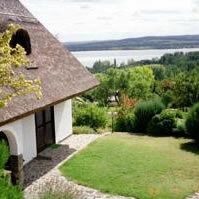 and we have a tradition of family ownership of a holiday home at one of this countrys many idyllic hideaway spots. As these homes are often left vacant over extended times our company offers the service of renting these properties on the owners behalf at a time when they do not require it for their own leisure needs. Our private property portfolio and unrivaled service are keys to our success and have helped us fulfill thousands of holiday dreams. Whether your party consists of one or more families, or a gathering of friends and relatives, private villas holiday homes provide inexpensive roomy accommodation not available in an hotel. 24-hour on call assistance is available from our experienced and friendly staff through a direct telephone link.